Virtually all consumer photos are being digitally mastered these days. 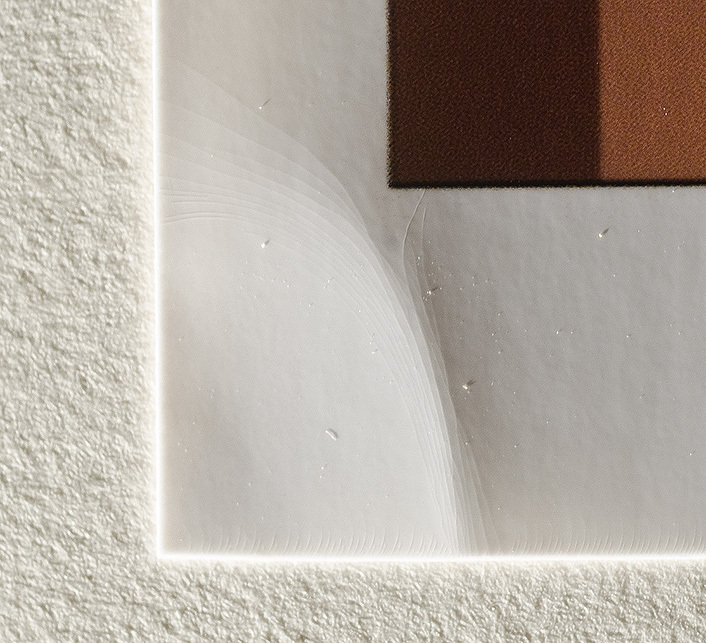 AaI&A has now acquired print samples and started light fade testing on three systems that represent current consumer photo printing choices for 2008. Now in test are samples of Fujifilm Crystal Archive II photo paper printed on a Frontier 390 “wet” minilab and samples made on the new Fujifilm 400 DL “dry” minilab. 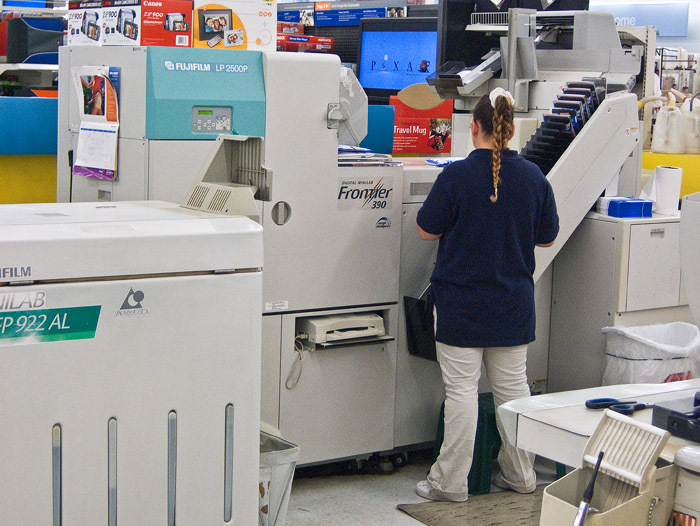 The Frontier 390 utilizes traditional RA-4 compatible silver halide photo chemistry, whereas the DL 400 employs dye-based inkjet inks and media. 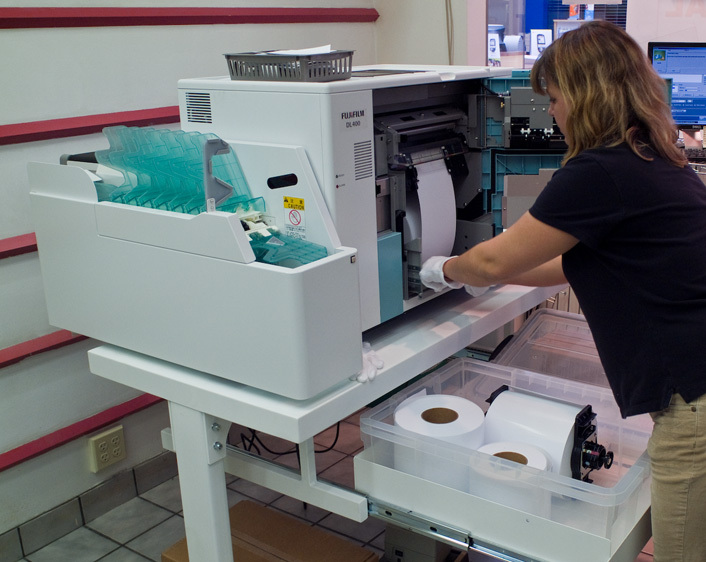 Also in test are samples made on an Epson RX-680 “all-in-one” inkjet printer. 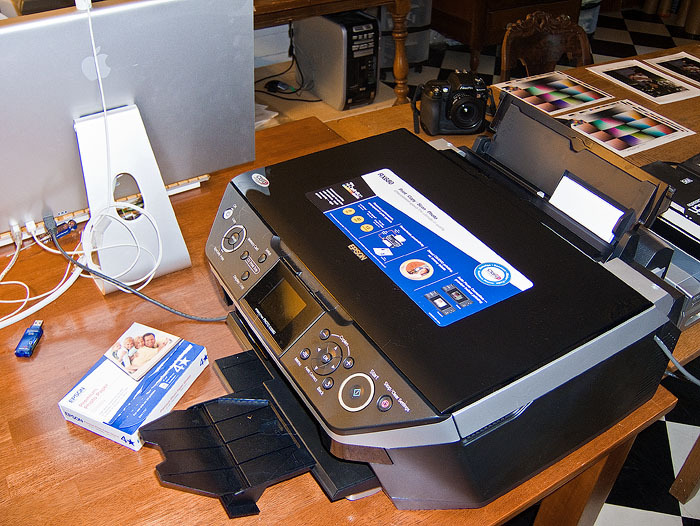 The RX680 targets the home printing market for convenient “do-it-yourself” document scanning, copying, and printing, as well as high quality photo printing. It uses the latest Epson “Claria High Definition” dye-based inks. These inks are claimed to offer improved image quality and image longevity on specified Epson printers and matched Epson papers.